It’s time to take a few minutes out of your 4th of July holiday festivities to thank all the men and women who are defending our freedom — and the families that support them. Freedom is never free. 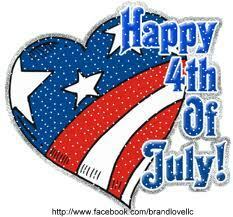 God Bless America and Happy 4th of July from BrandLove, LLC! “Because in life, some things are just too important not to share.” – Mercedes Benz engineer’s comment on why his company does not legally enforce its exclusive crash-absorbing vehicle design patent(s).